Traveling from the Toronto area follow highway 400 north to highway # 11. Continue north on highway 11 to highway # 60. 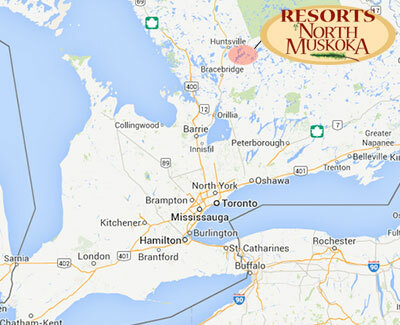 Highway #60 is the 3rd exit for Huntsville and travels eastward to Algonquin Park and Ottawa. Travel along highway #60 to Dwight. Take Hwy 60 through Dwight. Travel to intersection Hwy 11 and Hwy 60. Go east on Hwy 60 to Dwight. Please use the interactive Map to get detailed driving instructions to any of the properties.